A sixteen year old youth was killed when the car in which he was a passenger was skewered by three wooden 20-foot-long bridge rails on the back Ormond Road approximately one mile from Waihirere. 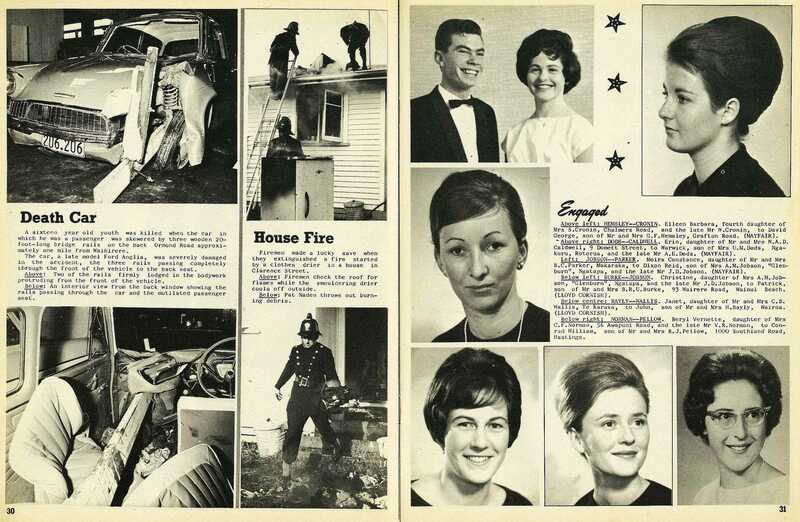 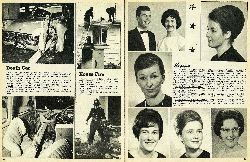 The car, a late model Ford Anglia, was severely damaged in the accident, the three rails passing completely through the front of the vehicle to the back seat. 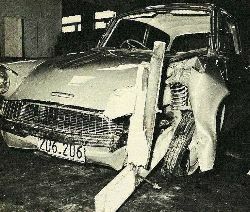 Two of the rails firmly lodged in the bodywork protruding from the front of the vehicle. 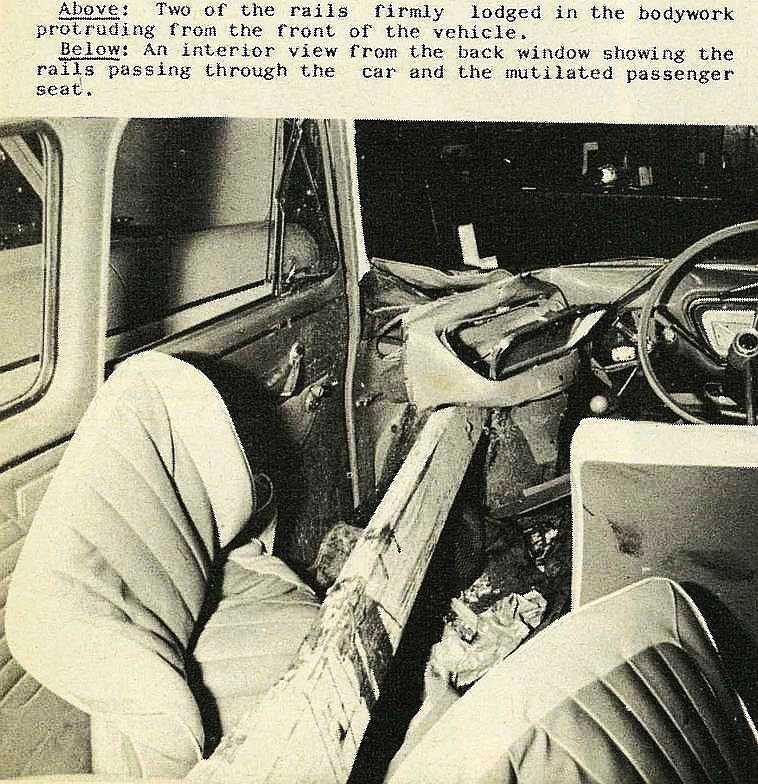 An interior view from the back window showing the rails passing through the car and the mutilated passenger seat.